I've traditionally not had much success at growing cucumbers in my garden. You could put it down to inexperience, the heavy clay soil, or just to the fact that I get preoccupied with my tomatoes! However, after spending a couple of years growing the "straight from the nursery" long, green "run of the mill" varieties that would go bitter rather quickly, I decided to go and see what the locals were planting. 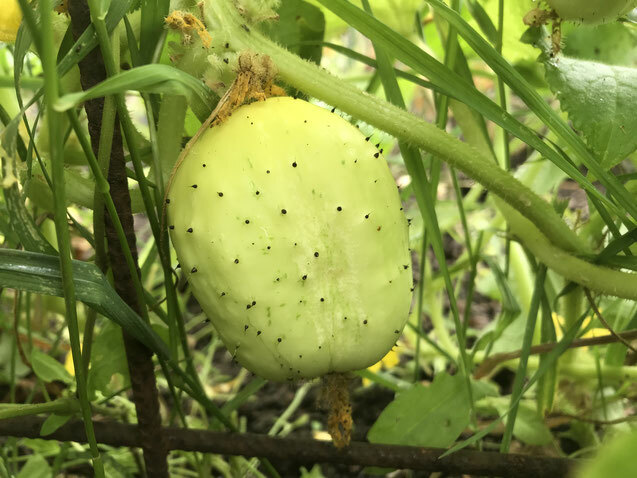 It turns out Apple Cucumbers are the norm to grow up here in the Strezlecki Ranges. So I decided to get onto one of the heirloom seed websites and found a brightly lemon coloured round variety that suited my bright and cheery personality down to the ground! 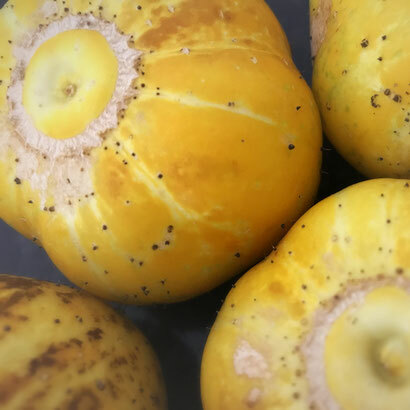 Perfectly sized to be eaten by one person, the old heirloom variety called "Lemon Cucumber" (because of the colour of the skin, not taste) ticks all the boxes! 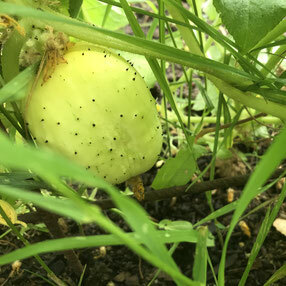 It's prolific, easy to grow, even here in our cold temperate climate, and miraculously develops a thick skin once it's picked, but remains sweet and juicy on the inside, without a hint of bitterness at all! It also tends to have a longer growing period than other cucumbers. 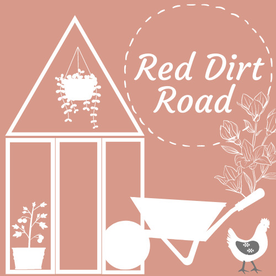 In fact, you can plant these varieties when the soil temperature reaches just 12 degrees (instead of the usual 15-18 degrees). They also produce a high yield on their vines, which can run between your tomatoes along a vegetable bed, or up a vine to compact its size. 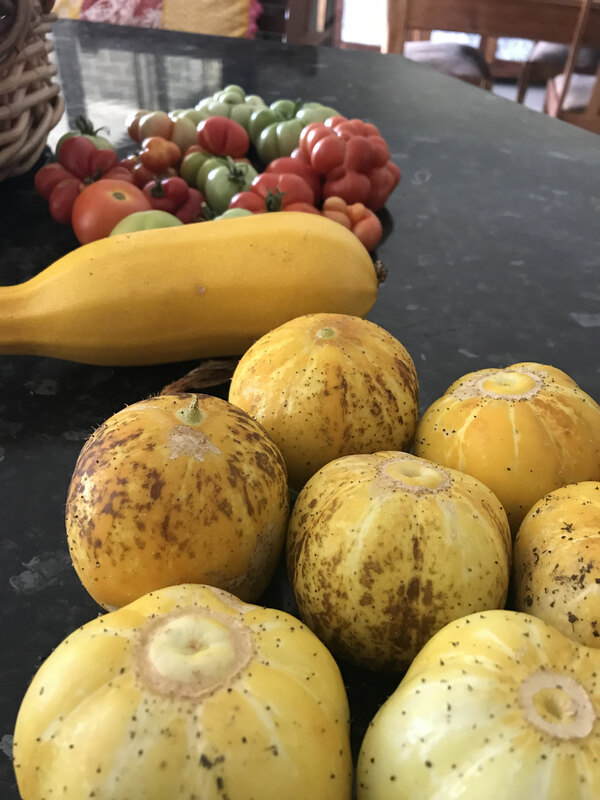 As they begin to grow on the vine, they change colour from light green to pale lemon to a bright golden yellow as they ripen. However, they do develop tiny black bristles on their skin, similar to that of a kiwifruit, but I've found that they brush off easily with your hands as they are picked. 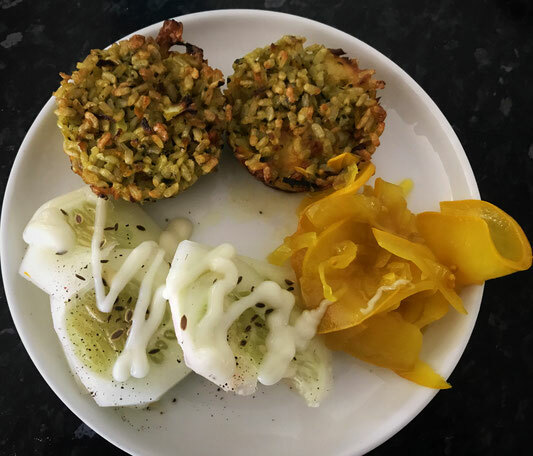 The mild cucumber taste has a cool and crisp texture and even as it is stored and the skin thickens, the taste remains consistent as well as the texture. 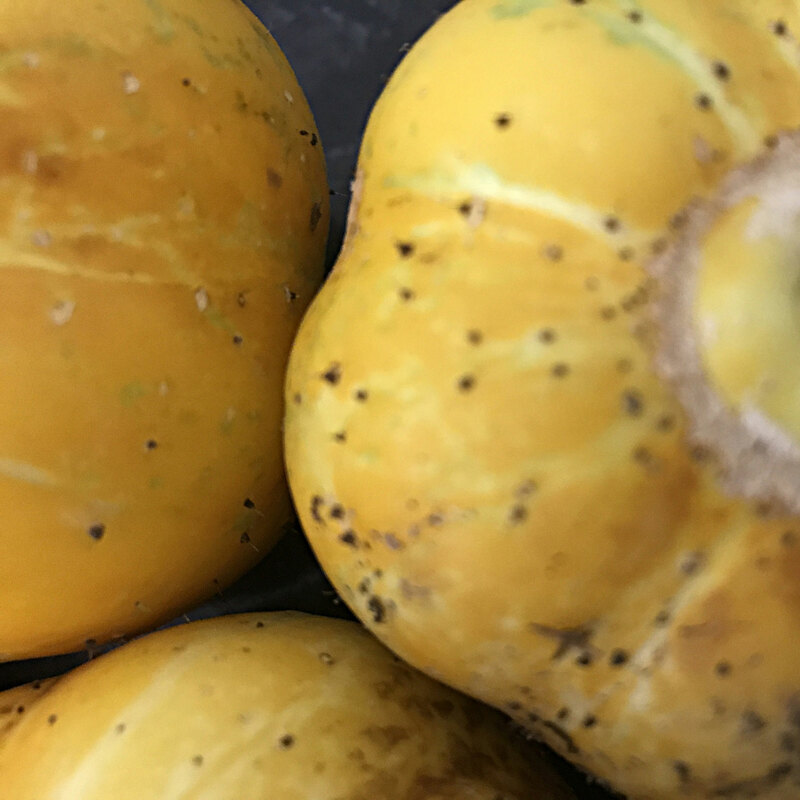 These heirlooms are a very old variety, spotted in the Middle East from the 1600's and feature today in Indian produce markets, where they traditionally add them to soup, daal, and chutney. 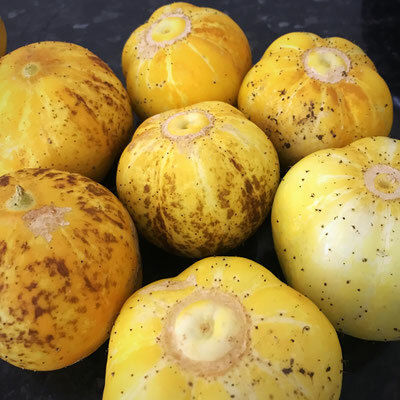 I love to eat them fresh, take them on picnics, or slice and pepper them with dill seeds and mayonnaise, but this variety is also perfect for juicing, water infusion, pickling, gherkins and of course salads. Growing three inches to an attractive spherical shape, the lemon cucumber offers a dazzling yellow burst of attention in the garden, and it's easy to reap the rewards from this long growing seasonal plant.